ALEX Carey will open the batting in Saturday's ODI series-opener at the SCG, where a new-look Australian side will face India and attempt to restore some pride and confidence. Recalled batsmen Usman Khawaja and Peter Handscomb will bat at No.3 and No.5 respectively. Khawaja and Handscomb are among six changes to the XI that lost to South Africa in Australia's most recent ODI. The hosts, forced to overhaul their attack with Mitchell Starc, Josh Hazlewood and Pat Cummins all rested, have called up Jason Behrendorff, Peter Siddle, Nathan Lyon and Jhye Richardson. Chris Lynn, Travis Head and Adam Zampa are the other three players dumped from the incumbent team. Captain Aaron Finch backed Carey to make the most of his promotion up the order. "It's just an opportunity to see Alex play in a position he's done quite bit in Big Bash and one-day cricket," Finch said on Friday. "It's a position he's performed really well with in the last couple of years. "We are starting to get a balanced side that we feel can adapt to a lot of different conditions." With Zampa part of the squad, Finch suggested the leg spinner and Lyon might both play a "really big part over the next six to 10 months". "Adam's very stiff to miss out on a game tomorrow. 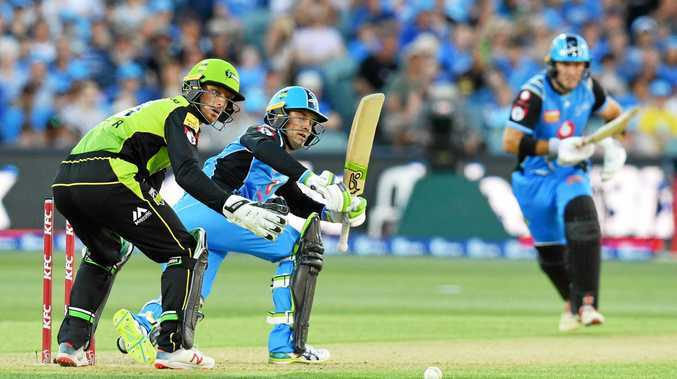 He's performed reasonably well for us in the last little bit since he's made his comeback," Finch said. Australia have won just three of their past 21 one-dayers, highlighting the perilous state of their World Cup defence. Australia start their World Cup campaign on June 1 in England. "It's still enough time to get it right and make sure, come that World Cup, that we are ready to go with a really balanced and settled side," Finch said. Australian XI: Alex Carey, Aaron Finch (capt), Usman Khawaja, Shaun Marsh, Peter Handscomb, Marcus Stoinis, Glenn Maxwell, Jason Behrendorff, Peter Siddle, Nathan Lyon, Jhye Richardson.